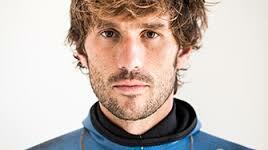 Guillaume Nery is a world-class free-diver from France. He is a multiple world record holder and double reigning world champion. With just one breath, he can dive to more than 100 meters below the water's surface. Since a couple of years I have been thrilled by these people who have challenged and upgraded human abilities. In the following interview, he shares stories of how he began free-diving, his experiences regarding the physical and emotional influence of water pressure, and how he prepares for diving including specific breathing techniques. Guillaume is a guy who not only teaches lessons he learned from nature but also discovers the beauty of this hostile underwater world.